Strong and styled for comfort, the Amish Mate Side Chair is a great catch for kitchen, dining room or restaurant. Spindled pack, turned posts and legs and a scooped seat with slotted top that makes chairs easy to pick up and move. All in choice of oak or cherry wood. 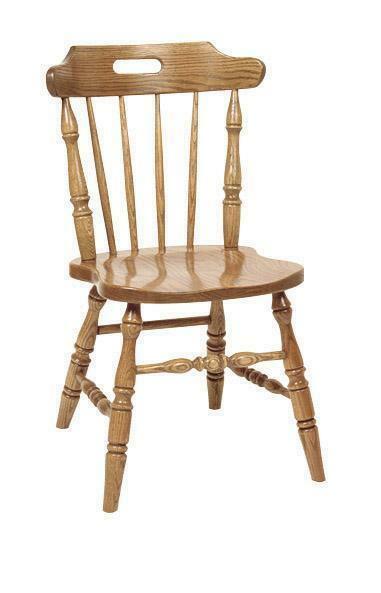 Count on Amish made dining chairs for the strongest durability in beautiful styles. Custom made to match your decor. Experience the quality from DutchCrafters. Order online, email or call us today! Height from Floor to Top of Back: 33 ½"
Shown in Oak with OCS-102 Stain.